According to Nielsen, the average American spends 34 hours per week, 1,768 hours per year, or roughly 24 years of his waking life watching television. Usually, I think of the “Average American” as a sort of Yeti/Sasquatch, X-Files-worthy creature; I’ve heard about them, but I’ve never seen one myself and I’m not sure they exist outside of the minds of obsessive (and almost certainly virginal) truth-seekers and statisticians. Unfortunately, in this case at least, the truth is out there and the monster is me. Though I never had a TV set in college and still don’t have a cable subscription, I spend an inordinate amount of time watching Netflix, Hulu, HBO Go, YouTube, and the like. This often happens in weeklong binges where I’ll gorge myself on a particular hour-long drama series until I reach its end, where I’m left feeling empty and used until I hook into another. …and some more I’m even less likely to admit. I invest myself emotionally into any story that compels me so. Considering that I have a taste for dark, dramatic television, this means my leisure time spent watching TV often leaves me feeling exhausted, anxious, and a bit stressed out. Though I’ve gone through stretches of exercising while watching TV, in general, time spent watching TV is time spent vegetating on my couch, recliner, or bed. Where possible, there’s food and drink involved as well. Have you ever started watching something and checked the time ten minutes later and find it’s been three hours? For me, nothing can wipe hours off of the day quite the way TV can. Though I enjoy watching TV and don’t want to give it up forever, I want to learn to enjoy it in moderation, not excess. The way that I feel after watching three hours of television is nothing compared with the feeling I get after exercising, writing, hiking, or playing music. So then, here begins the very first One Week Without challenge. 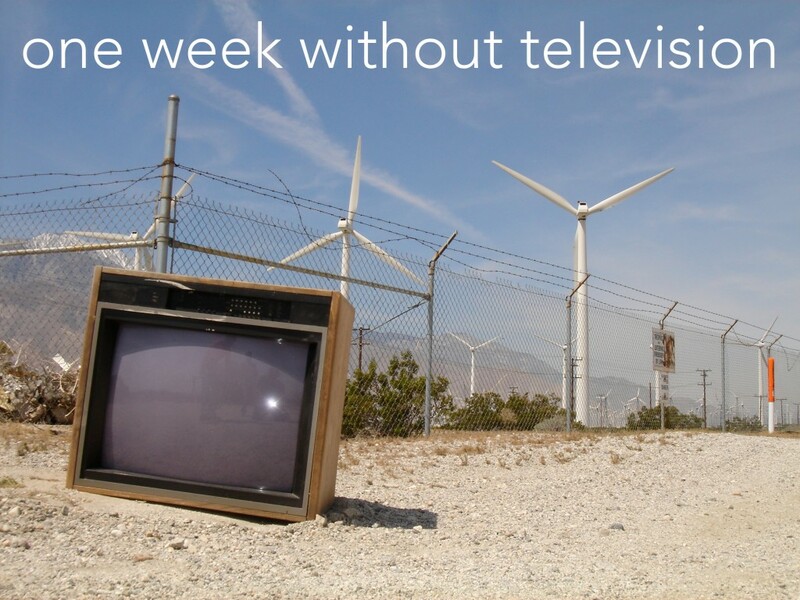 Starting now I won’t watch a second of television, Netflix, Hulu, HBO Go, YouTube, Vimeo, or any other sort of TV/video service I’m not currently aware of, for one week. In the meantime, I’ll be pursuing and blogging about what I call active leisure, searching for more rewarding and productive ways to spend my spare time than sitting on the couch. As always, I’ll be tracking the day-to-day of the challenge on Twitter (@scottmarquart) and will post a mid-week check in and final thoughts here on OWW, alongside anything else I’m inclined to write about in the meantime. Have fun actually living this week. And, when you’re ready to binge on drama again, might I suggest Scandal.